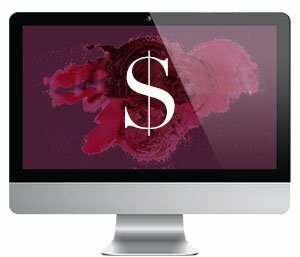 Few things are better than being tapped by your oldest and dearest friends to work with them on improving their website design. So, when Kevin Archer of IGE reached out to me to overhaul his brand, I was in heaven! But Kevin was not–instead, he was hitting the proverbial wall. 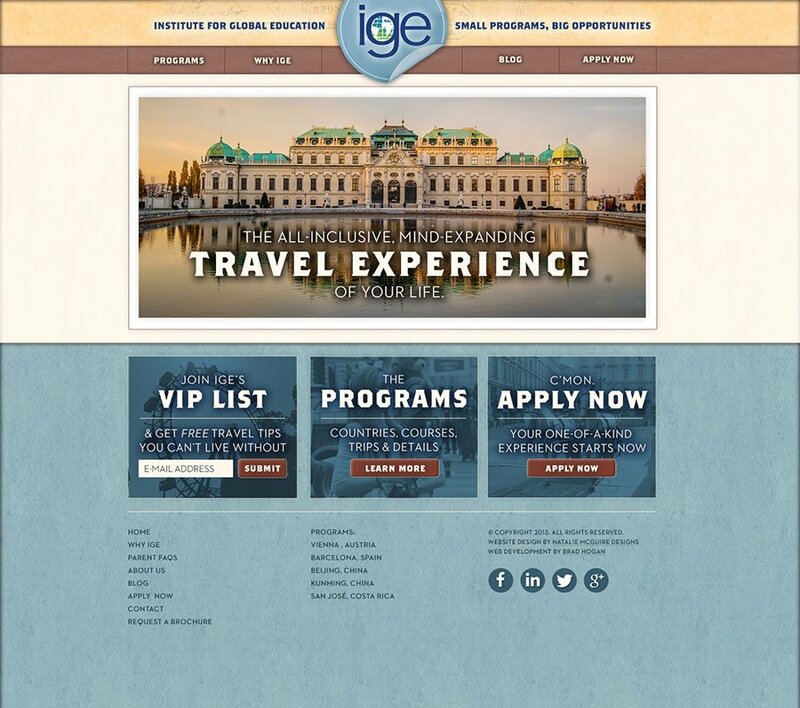 With his current website, he wasn’t able to close or sell his study abroad program to Vienna to his prospective students, which left him frustrated. 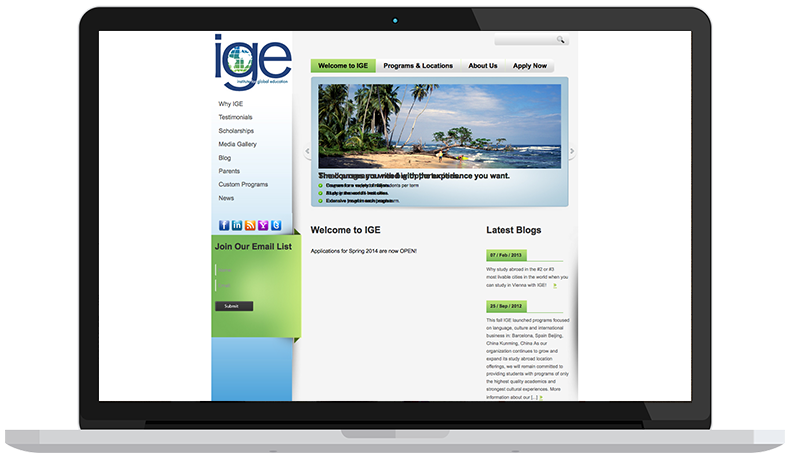 He needed a web presence that made his program look increasingly professional and drive applications and enrollments. 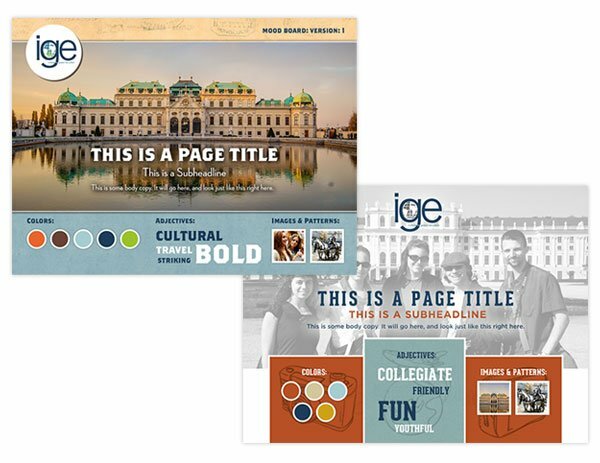 After filling out my creative brief, I understood their messaging and visual aesthetic they wanted to capture: A specialized, small group, one-of-a-kind travel experience to Vienna where the kids are completely immersed in the culture and day-to-day life of the Viennese. That sounds pretty good right about now, no? The first step in overhauling the brand, was to focus on the history, art, cultural enlightenment, excitement and intrigue of travel to get students and parents excited and eager to thunk down some serious moo-lah to send their kids to this exclusive program. By focusing on the architectural photography, personal photography of past students, and patterns and textures that evoke a sense of travel, the design of the website quickly took shape. Additionally, we structured the site so that at every turn there was a call-to-action to apply now and request more information so Kevin could begin to “close the deal” off-line and begin his sales funnel. Did the design update work? Bounce Rate: A Bounce Rate is when a visitor goes to your site and then immediately leaves. This went from 46% with the old design to 1.6% with the new design WHICH IS INSANE and something I’ve never seen before. I checked a million times to make sure this wasn’t an error, and it’s not. Holy. Cow. Page Views: Visitors are looking at 44.6% more web pages than they were before.